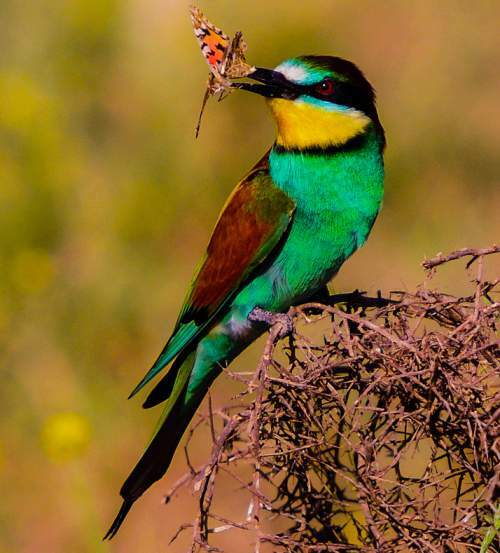 The European bee-eater (Merops apiaster) belongs to the family of bee-eaters, the Meropidae under the order Coraciiformes. 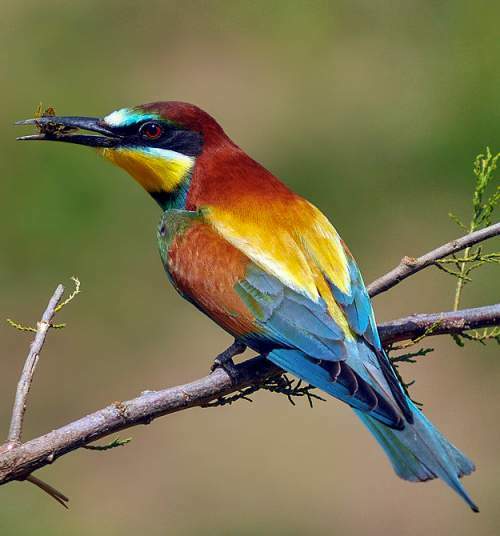 The family Meropidae was first described by Constantine Samuel Rafinesque-Schmaltz (October 22, 1783 – September 18, 1840), a zoologist, botanist, writer and polyglot, in the year 1815. 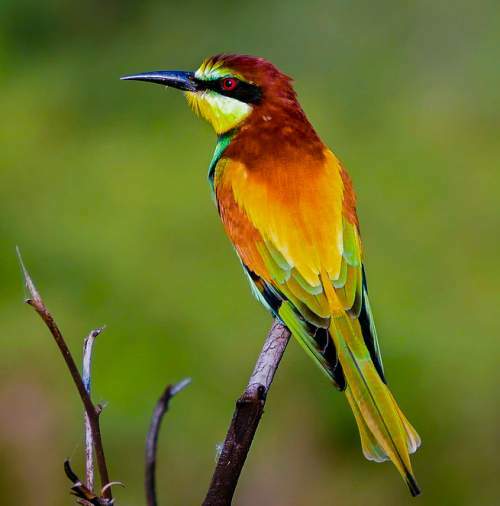 The family Meropidae comprises 27 species divide into three genera, viz., Nyctyornis, Meropogon and Merops. 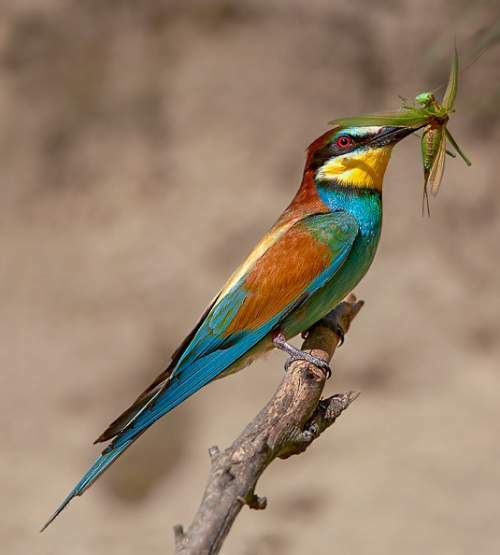 The genus Merops comprises 24 species, including Merops apiaster. 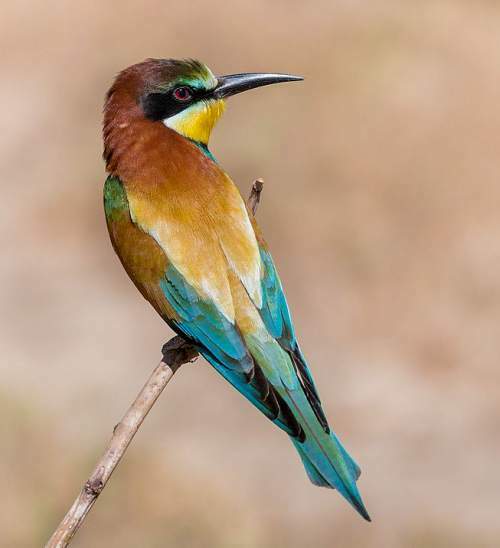 The species Merops apiaster was first described by Carl Linnaeus (23 May 1707 – 10 January 1778), a Swedish botanist, physician and zoologist, in the year 1758. 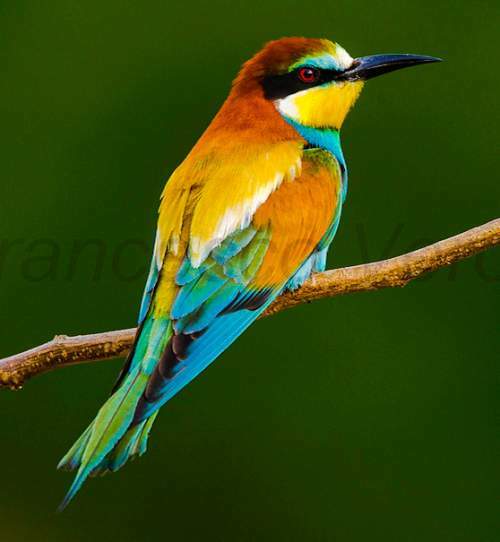 The species Merops apiaster is monotypic and closely related to Merops superciliosus and Merops ornatus. 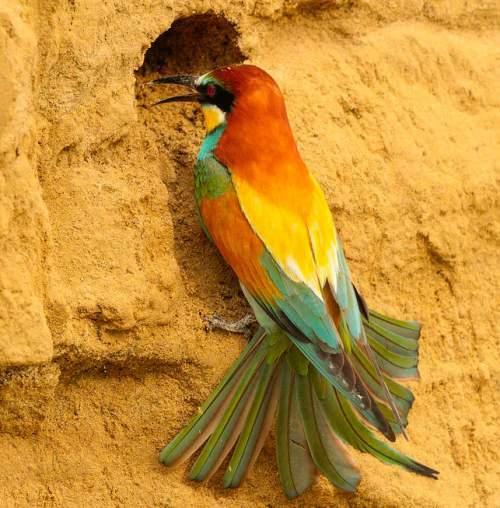 The species Merops apiaster is distributed in Africa, Europe, Asia and Indian subcontinent. 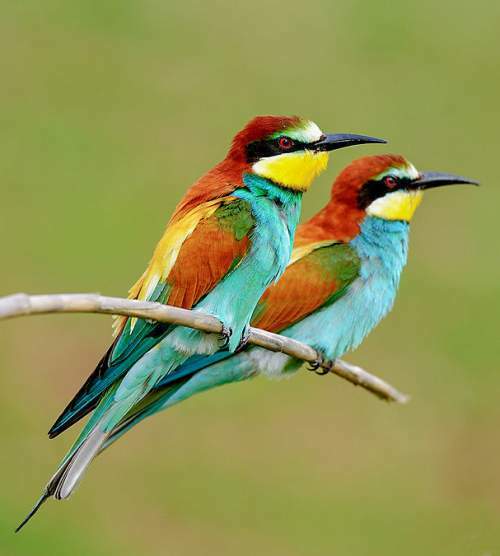 It winters in lower latitudes of tropical Africa. 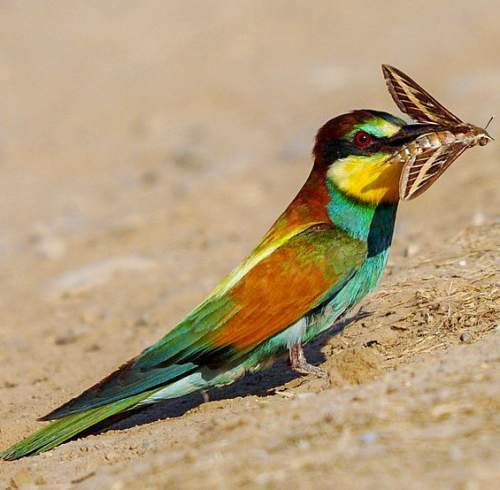 Current topic in Bird World: European bee-eater - Merops apiaster images.